The giant Japanese automobile manufacturer—Suzuki Motor Corporation—has been producing and marketing Suzuki Wagon R since the year 1993. But, in 2014, it is for the very first time that you will see it in Pakistani auto markets as well. Here it is important to mention that the letter “R” in the name of the vehicle stands for “Recreation”. Being true to its name, it does provide the travelers with marvelous recreation and enjoyment. It is one of the first ever car brands in the world that use the ‘tall boy’ or ‘tall wagon’ design, which implies that these are unusually tall with almost vertical sides & hatchback, and a short bonnet. All this is done to maximize the space in the interior of the vehicle, but at the same time the manufacturers have to observe the dimensional restrictions of Japanese “Kei Car” standards. Here it is worth knowing that the Wagon R has earned the patron company immense fame both in the national as well as international markets and still retains its original appeal among all and sundry. Now let us talk about the secret lying behind the outstanding success of this Kei Car. After the design, it is the appearance of an automobile which matters the most to attract the attention of the potential buyers. That is why, to serve a larger pool of the public, Suzuki is offering 9 charming body shades for this world famous and very profitable brand of cars. So, if you are fond of preciousness and sophistication in style, just go for the Silky Silver outlook. Those, who want the shade of energy, strength, determination, passion and desire, have Pearl Red Metallic at their disposal. The Graphite Gray Metallic is meant for those who like the corporate, cool and conservative color that seldom evokes emotion. The individuals, who have taste for purity, kindness and complete energy of light, have the option of Solid White. If you are a man of independence, strong will, determination and control, the Super Pearl Black shade is waiting for you. The emotionally positive Smoke Green color is symbolic of the love of nature & family, sense of right or wrong and good judgment. If you have a strong spirit to achieve something, you can choose the Phoenix Red appearance that signifies creativity, passion and energy. A sense of pureness, pleasantness and cleanliness will be evoked by Sand Beige. If you choose Dark Blue, it will represent confidence, power, wisdom, intelligence and spiritual realization. Concerning the interior design and features, it is as much spacious as such a car can ever be, while retaining its style and serenity. For enjoying ultimate comfort during a long drive, you have soft and very high quality seat fabric. The musical entertainment, on the way, won’t let you get bored throughout hundreds of kilometers of journey that you are going to undertake. 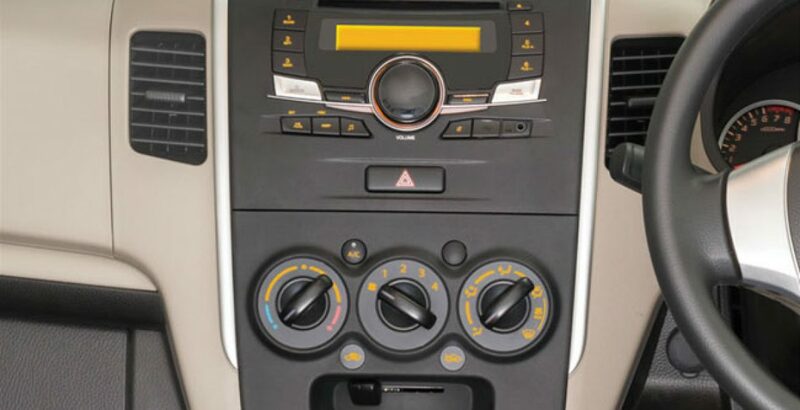 The audio playing functionality is enhanced by an Integrated Sound System with AUX and USB port. 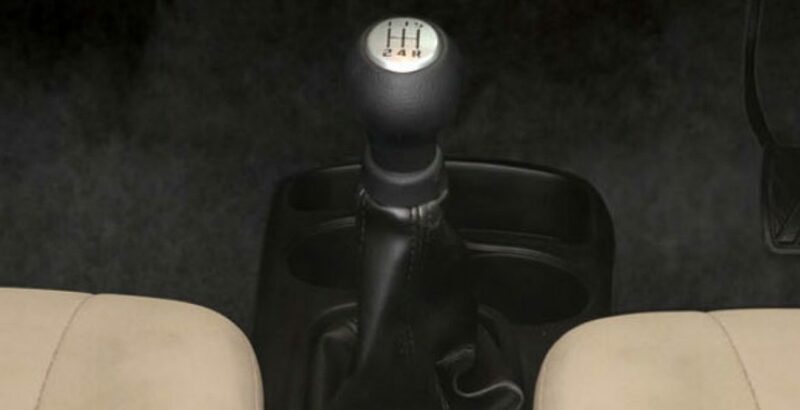 Another accomplishment, contributing to an enjoyable driving practice, is that of the smoother gear shifting. 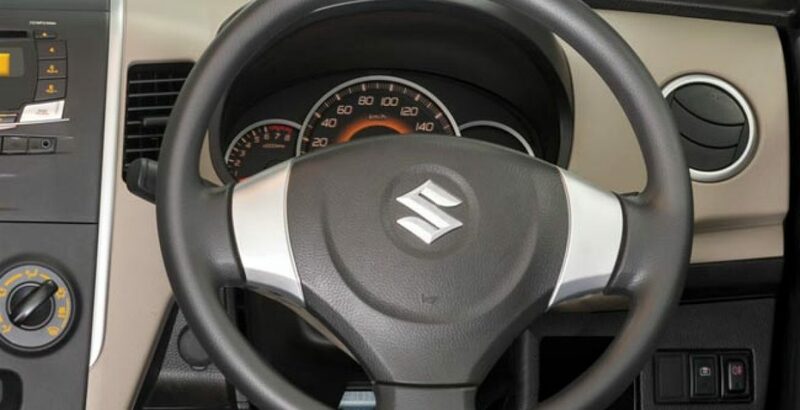 Adding to your further ease, there is a three-spoke urethane Power Steering with an S mark on it that stands for Suzuki. The unique and stylishly built exterior of the Suzuki’s present model emanates a strong wave of beauty that seeps deeper into the heart of the onlookers, thus diverting their decision in favor of the present automobile. 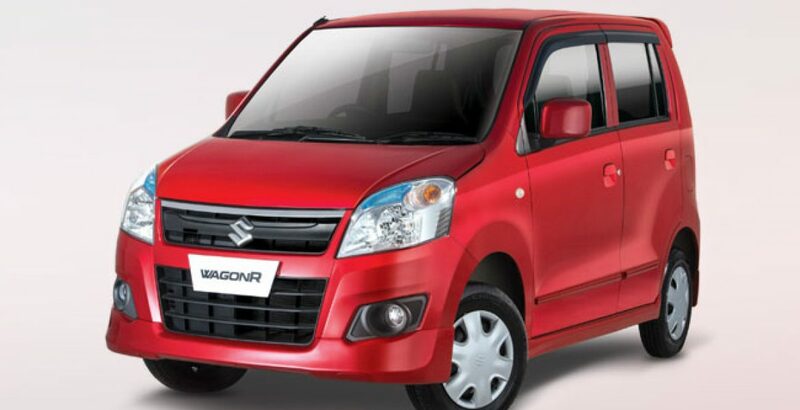 Concerning its worth, the 21st century Wagon is being offered in exchange for reasonable Suzuki Wagon R price in Pakistan. The front under spoiler, on the front bumper, makes your four-wheeler look bold and sturdy. In the same way, you have an exquisite rear bumper. The side body moulding and side under spoiler contribute to the left and right of the car. For the enhancement of the Wagon’s rear view, there is a rear upper spoiler. 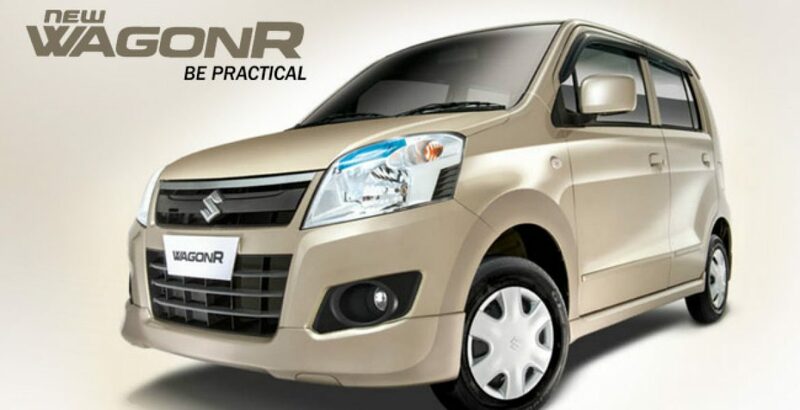 The fortunate individuals, who buy Suzuki Wagon4, must rest assured that they will be enjoying an extraordinary level of performance rendered by the state-of-the-art K Series engine. The most wonderful thing is that, in a country like Pakistan where there is also acute shortage of fuel, this long-awaited Japanese brand will be delivering an impressive fuel economy. The third “plus point” of its performance is that of its eco-friendly behavior, as it brings significant decrease in the level of CO2 emissions. On the basis of its fairly high power and ultimate reduction of noise, you will experience high torque even at low RPM (Revolutions per Minute). The uniquely built DOHC valve train of this K-Series engine offers surprisingly low friction. There are two really very threatening problems, related to the transportation system in Pakistan that the vehicle owners have to face in their everyday life. Firstly, the poor road conditions involve damage to the automobile, often causing an incompensable loss of precious human lives. On the second place, the possibility of theft keeps the owner always bothering about their possession. Both of these issues get perfectly solved through the latest safety and security system of the vehicle. The Anti-Theft Security System is powered by “keyless entry and immobilizer, and it puts the minds of the owners at ease. The ignition key has been encoded for its exclusive usage only with the immobilizer. In this way, it will be impossible for the engine to get started unless you apply the original encoded ignition key. 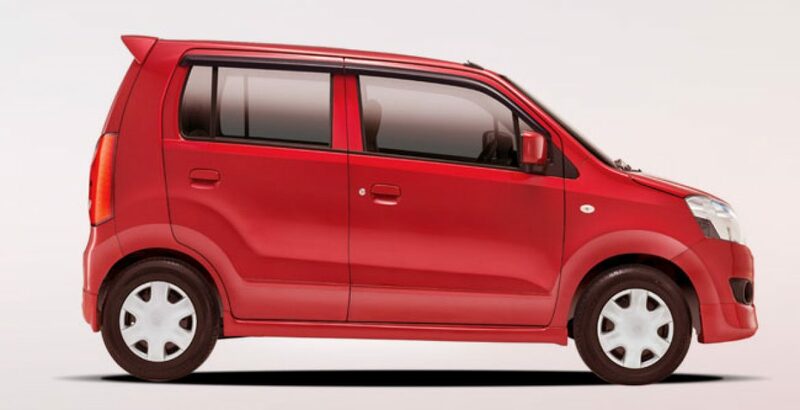 With justifiable Suzuki Wagon R price and a multitude of super advanced features, the new Japanese Kei Car brand makes its way towards the Pakistani auto market. 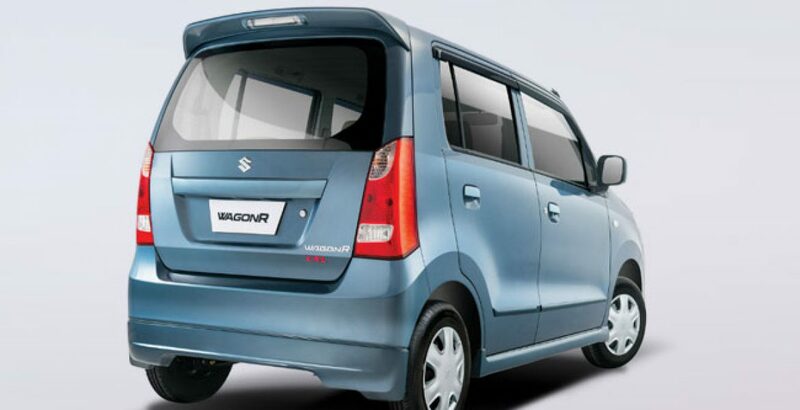 Along with giving you high level of fuel economy, it also works in an eco-friendly way by minimizing the CO2 emissions. Extreme security against the possible theft is ensured by an especially encoded ignition key needed to start the engine. Furthermore, performance, luxury and outlook are just mind blowing. Even on long journeys of hundreds of kilometers, you will neither get tired nor feel bored. But, the overall experience will be simply awesome and memorable. On the other hand, the nine amazing body shades will cater to the tastes of a larger pool of public from round the globe.